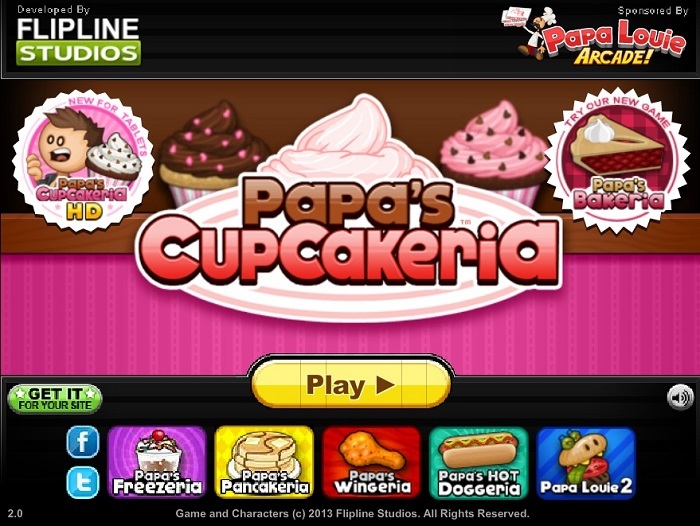 Papa’s Cupcakeria is a cool browser based restaurant management game from the house of Flipline Studios. You need to manage a restaurant by crafting the most delicious cupcakes and serve them to the customers as per their requirements. The game features very cute graphics, which makes it ideal for people for all ages. The story begins with your car banging to Papa Louie’s car and you are unable to offer the compensation for the damages incurred. In return for the compensation, Papa Louie offers you a job in his new joint Papa’s Cupcakeria where you have to serve the customers and earn tips in order to repay the amount of damage. You can choose from fully-developed character options – James and Willow or design a character of your choice from scratch by choosing from countless character customization options. The first stage is the Order Station where you have to note down all instructions related to the order. 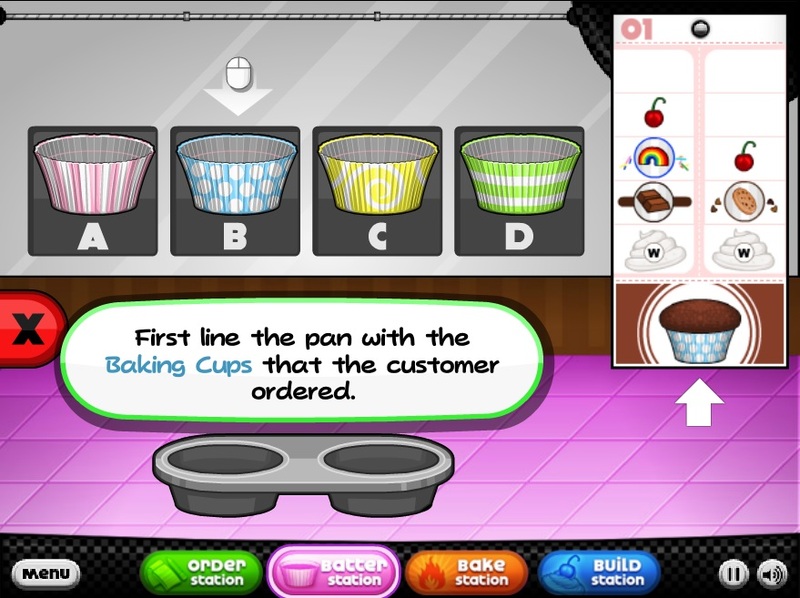 Once the order is received then you have to select appropriate batter and the quantity of the batter at Batter Station. At the Bake Station, you have to ensure that the cupcakes are cooked properly as undercooked or overcooked will not fetch good tips. The Cupcakes baked are then bought for final dressings at Build Station, where you have to top up icing along with sauce and other dressings on the cupcake as per the customer’s choice. It can be played on all browsers including Chrome, Safari, Internet Explorer, Mozilla Firefox, etc. The game doesn’t have any particular hardware or a software requirement, so it can be played on old computers too. The controls are very easy as they are mouse based, which means even children can play the game without any difficulty. You can decorate your restaurant with wide variety of decoration options. Lots of upgrades can also be purchased in order to earn extra tip from customers. You can also upgrade your playable character by purchasing different costumes and accessories. The engaging gameplay and challenging missions has made it one of the most widely played games on the Internet. Don’t believe what we are saying? Then, play the game and see it yourself!